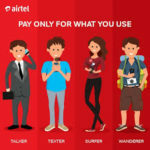 Airtel smartTRYBE Tariff plan is one of Airtel cheapest tariff plans that comes with huge benefits at a very affordable, it is aimed at keeping you connected through internet and voice with cheap phone calls(Local and International Calls), data and so many more. With the best rates on data and calls to all networks, night browsing for your favorite movies, series and music and special weekend deals, you never miss a thing. To join the SmartTRYBE tariff simply dial *312#. 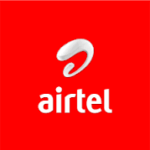 Airtel SmartTRYBE call rate is at 11k/s to all networks. International calls at 20k/s to Uk, US, China, India and Canada. Before you begin to enjoy a flat calling rate of 11k/s for a day, the 1st 50 seconds call you make in a day would be charged at 20k/s to all networks. Immediately you hit the 50 seconds mark your calls for that day would automatically be charged at 11k/s. So at 20k/s your 1st 50 secs is N10. NB: It is not necessary you reach the 50 secs with just one call, it can be spread over two to three calls or more, it all depends on you as it will all be cumulated. Once you load a N200 recharge card on your phone, SmartTRYBE tariff gives you 15mb worth of data valid for a week. But if your 1st recharge for a week is N100 you will be given 5MB, while the 2nd N100 you make within the seven(7) days validity period will give you an additional 10MB, which gives you a total of 15MB data bonus. 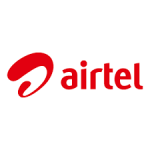 N500 for 1GB valid for 7 Days, on a normal on other Airtel tariff plans you get 500MB for N500. Simply dial *312# and follow the instructions on the USSD Menu. 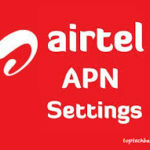 You’ll see the option to subscribe for the 1GB for N500 plan. 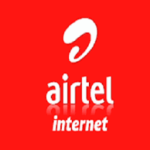 The Night Browsing plan is also only exclusive to the SmartTRYBE plan. It costs just N25!!! Yes you read it right and guess what? You’ll be given a data volume of 500MB to download or browse on the internet all night. There is also a 1.5GB night plan on SmartTRYBE which costs N200. Simply dial *312# and follow the instructions on the USSD Menu. You’ll see the options for the N25 for 500MB and N200 for 1.5GB plan respectively. NB: If you do not finish the data volume allocated for a night, you cannot use it to browse the next night or any other night, you will have to resubscribe again for another night plan. 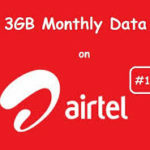 The airtel night plan now allows you to role over your data to another night if you did not finish it the night before.